If you were a victim of termite damage, we imagine you’ll hope anything will continue to keep them at bay, including less activity during certain times of the year. Unfortunately for all of us, termites do not hibernate, as some other bugs do. This means you won’t get the automatic reprieve you crave without the intervention of professional pest control. 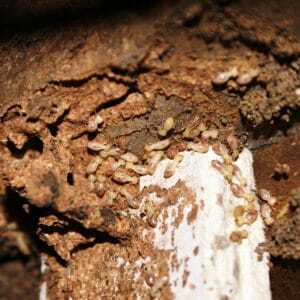 Outdoor termites quiet down when it gets cold outside, but this isn’t considered hibernation. Consider this a good time to clear your yard of dead wood that attracts them. Indoor termites remain equally active during the wintertime, as they have the essential W’s: water, warmth, and wood. We encourage you to continue to look for the signs to prevent the infestation become more serious during any time of the year. Don’t Snooze! 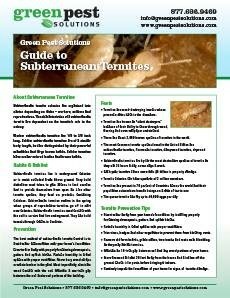 Call Green Pest Solutions for Termite Control. The pest professionals at Green Pest Solutions are trained to recognize the very first signs of a termite infestation. Let us inspect your property to prevent serious termite damage. We can also apply regular treatments to prevent termites from becoming a problem. If you suspect termite activity in your home, contact us today online or by calling us at 877-636-9469.